I have this distinct memory regarding wilted salad from a few years ago that really makes me chuckle now. My husband and I were at a friends house, checking out there garden, when his dad says "Boy, you can't beat turnip greens with "bacon grease" poured on them!" I was a vegetarian then and thought pork was a artery cloggin' devil-food. You can imagine what I thought when he said this. Now, here I am two years later eating a salad with lard poured over it, and feeling awesome about it. It's funny how things work out sometimes! Who doesn't love a good sandwich? Growing up, I ate a standard white-bread/bologna/cheese sandwiches pretty often, and it was definitely a comfort food for me. Then when my "real food" days came about, my husband and I ate sourdough veggie sandwiches on the reg. After starting AIP, I thought the days of enjoying sandwiches were over. Then, I stumbled upon something amazing. Plantains. If you follow me on Facebook, you are probably already tired of hearing me yak about my awful morning sickness. Guys, I am quite ill. Severe food aversions, fatigue, headaches- the whole shebang. I'm quite embarrassed to admit to you all that I have fallen off of the AIP wagon. But we all know that we're only human, and that we can't always be perfect. Food aversions have made it near impossible to eat the nourishing diet that I know any pregnant woman should be eating. So, I'm just doing the best I can. For the time being, that's gluten free and as much AIP food as I can manage. I'm also doing just about everything I can to reduce nausea- ginger, b-vitamins, magnesium, essential oils, Sea-Bands, etc. I made these cookies right after my morning sickness began in an effort to get some AIP friendly calories in me, while also trying to reduce the nausea. They were delicious, when everything else was repulsive. I can't wait for you all to try this recipe! 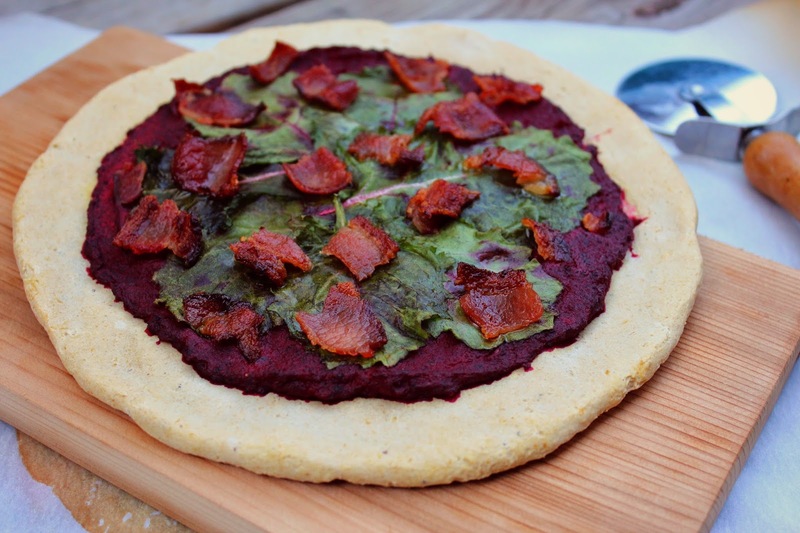 I hope you all enjoy the AIP pizza recipe I shared a while back; I have gotten lots of comments about the crust. Shortly after I came up with the original crust recipe, I started experimenting with tapioca. Guys, this crust is amazing! 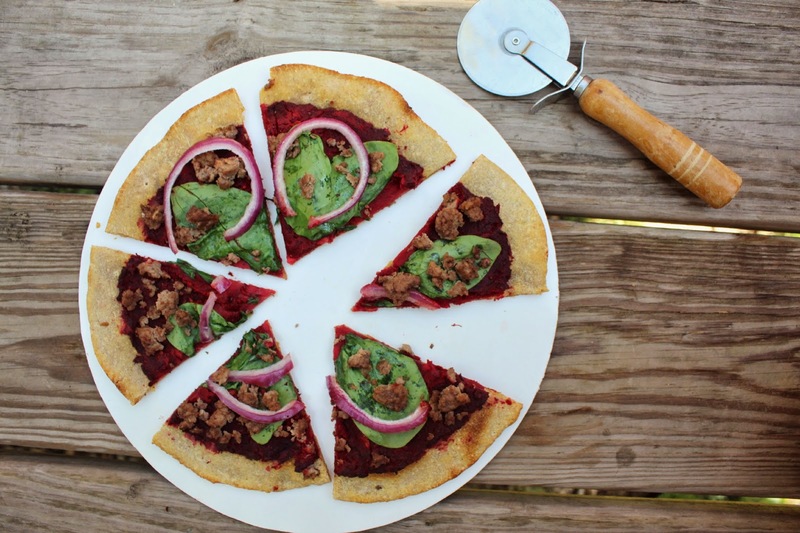 I cannot wait for you all to try it, and see what types of toppings your creative minds come up with! I shared this recipe on The Paleo Mom, so hop over there to see the full recipe! Isn't it amazing when you find a restaurant that will cater to your complicated requests? There's a lovely little restaurant just down the street from my house that serves local grass-fed beef, pork, and lamb that is great with that. My toddler asks to go there just for their "sweet-ta-tato-tots." Rightfully so, because they are amazing. This recipe came about when my toddler asked for "sweet-ta-tato-tots" and the restaurant was closed. These we're a delicious little treat, and were extremely easy to put together. The best part: they're AIP friendly. After nearly two weeks without internet, I am excited to get back to sharing recipes with you guys! Coincidentally, I heard Chris Kresser's "digital detox" podcast just before we began our move, and was starting the feel like I desperately needed one. Even though 2 weeks without internet was hard at times, I'm actually grateful for it. My time with the internet really put my technology usage in check, and now I feel like I will use it more responsibly. Also, since I was in the middle of moving, I didn't have time to work on any recipes- so I'm excited to start creating again as well! I made this recipe shortly after I posted the last salmon patty recipe. My husband and daughter enjoy salmon patties so much, that I really felt like I was missing out. These are nothing short of delicious, and I'm so excited for you guys to try them out. 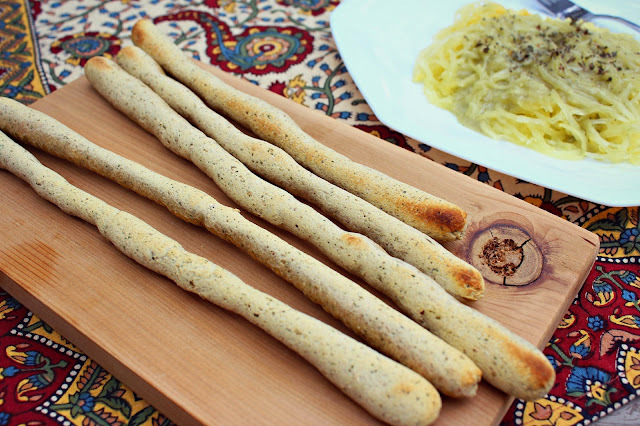 These breadsticks were just an experiment that I was making to accompany another experiment (the pasta in the background) that turned out to be a disaster. I was attempting to make... well, maybe I won't tell you since I hope to finesse the recipe in the near future. Anyhow, the pasta was a flop. The breadsticks, however, turned out delightful. I mean, they're quite possibly the closest to a "real" bread texture and flavor I've gotten since I started making AIP recipes. Not to mention that they're simple (in ingredients and preparation), so it's a win-win situation. Since I started my real food journey years ago, macaroons have always been my favorite treat. 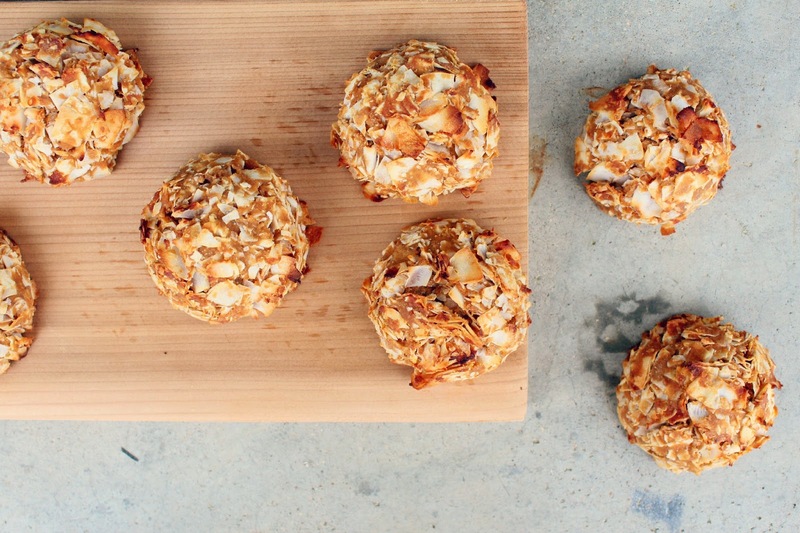 For a traditional macaroon, you only need honey, eggs whites, and coconut. Pretty simple! They’re probably the most fool-proof and easy to prepare treats out there- and not to mention one of the best tasting. I came up with this recipe because eggs no longer agree with me, and eggs whites are essential for making traditional macaroons. So, I experimented with a few ingredients until I came up with a "glue" to hold the coconut together: plantain. To see the rest of this recipe, hop on over to Delicious Obsessions! For the longest time I thought I just couldn't afford to eat as much fish as I'd like to. Personally, I think fish should be included in at least 2-3 meals per week. I consider my local health food store to be very reasonable (compared to franchises like Whole Foods, at least), but their salmon fillets were nearly $10 a piece. I don't know about you all, but I had no room in my budget for that. Then something wonderful happened- I stumbled upon this amazing article by my hero, Chris Kresser. Basically, he says that it's worse to not eat fish, than to eat fish that might be slightly contaminated with mercury or radiation. Omega 3 oils are critical for so many important functions in our body, that fish is just a necessity of a well rounded diet. Then after shopping around a bit, I realized that there we're a ton of wild-caught salmon and sardines on the market- for very reasonable prices. So far, this salmon by Bear and Wolf has been my favorite. I'm still struggling to get creative with the sardines, but I have had an absolute blast in the kitchen with the salmon. This is one of the first recipes I made with the bulk order of canned salmon I bought, and it's been a family favorite. My husband can eat a whole batch to himself, and my daughter begs for "fish cakes". It's super simple to prepare, and most of the ingredients are pantry staples that most of us always have on hand. I am so sorry to keep bombarding you all with plantain recipes, but I just can't help it. I just discovered plantains a few months ago, and it's versatility is still blowing my mind. So far I've made taco shells, cookies, pizza crust, and banana bread (recipe up soon!). The first recipe I experimented with was the taco shells. After posting the taco shell recipe, one of my readers asked if the mixture could be used to make pizza crusts. Oh boy. What an idea. 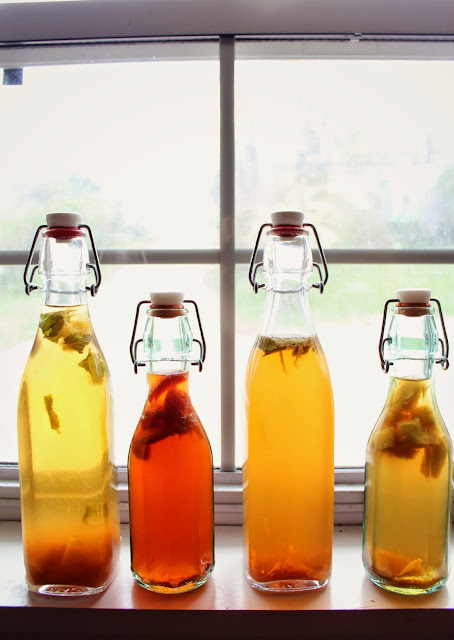 Kombucha. Yes, it's a strange word. The name alone has turned some people I know off to drinking it. For others, it's the stringy goop floating around in the bottle. I didn't even know what kombucha was until I was about 17, and even though I was a "real-foodie" then- it still sounded and tasted strange. However, my taste buds quickly got acclimated to the fizzy-fermented flavor, and it soon became my favorite beverage. Brewing kombucha is fun for the whole family, and you get an end product that is chock full of health benefits. There's no denying it. I miss nut/seed butter quite a lot. Not only were they great additions to many, many recipes- they make a great snack all by themselves. I was totally guilty of eating sunflower seed butter right out of the jar when I needed a quick snack. Then when I started following the autoimmune protocol, I thought I'd never be able to enjoy a nut butter again. And then, I stumbled upon this wonderful recipe for toasted coconut butter over at The Healthy Foodie. Yes! It was a miracle. With a little cinnamon and honey, I couldn't tell a difference between it and a nut or seed butter. It comes together in just a few minutes, and is a very versatile "condiment" to have in your pantry. I know that there a million variations of this recipe around the web, but I thought I'd share mine with you. A few weeks ago I decided to make meat loaf, and made this recipe up on a whim. So, I'm not exactly how similar it might be to others out there, This stuff is incredibly handy to have in the fridge, and I have been using it in just about everything; it's so yummy! Not to mention that it's packed with nutrients and antioxidants. No, it doesn't really taste like tomatoes, but it has an awesome texture and is really versatile! I've used it in meatloaf, on zucchini noodles, on tacos, and even as a pizza sauce. Summer is coming up, and cannot wait to make this for my family to enjoy on a hot day. This recipe is super simple, and so rich and creamy that you won't know it's dairy free! It also has Tulsi (Holy Basil), so it has added medicinal properties. Tulsi is great for supporting healthy adrenal and thyroid function. I contributed this recipe to Delicious Obsessions this month, so hop on over there and check it out! Recipe here. 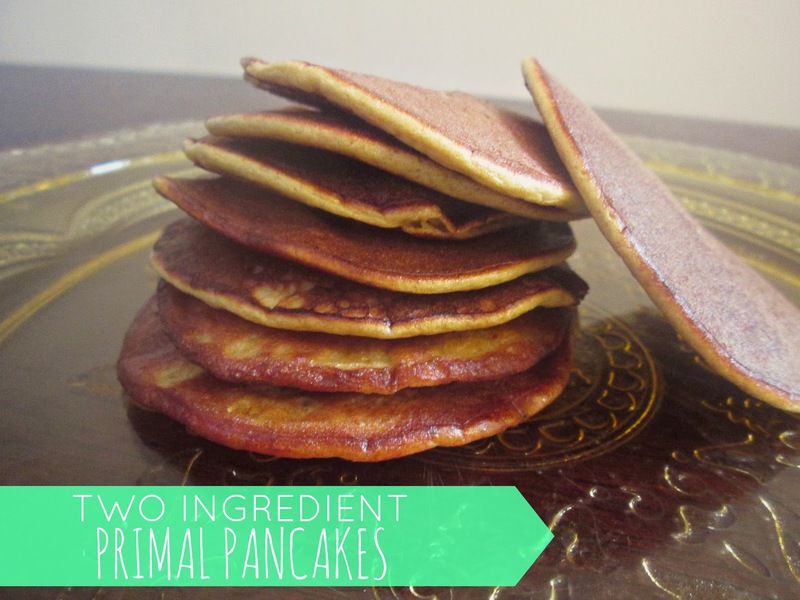 Last month I shared with you an autoimmune paleo recipe for plantain taco shells. They were a big hit with my family, and I hope that you've had the opportunity to try them out. If you've tried the recipe, you know that it might take a little finesse to get the shells draped just right on your oven rack. The dripping oil can also be quite messy. I greatly enjoyed the end product, but have been disappointed that I can't think of anything else to help mold the shell. However, while I was shopping at a local discount store a few weeks ago, I found these. Yep, they're coated in teflon, but they were only 1 dollar a piece- couldn't pass 'em up. I really do try to be well rounded in my health consciousness. I don't wear make-up, deodorant, or chemical-laden lotions and body products. I avoid GMOs at all cost, and only use essential oils to clean my home. We don't store our food in plastic, and usually only cook with ceramic. But yes, I own these teflon doo-dads. The shells only cook in the mold for about ten minutes, so I don't beat myself up about it. I've also seen this idea, and I think it would work just fine. I actually have a silicon cupcake mold, and I intend to try that idea next time. There is something so comforting about this dish. It's rustic, and simple, and most of our mom's probably prepared dishes like this when we were small. It reminds me of carefree times. Now when I think of pot pie, I'll remember this amazing Winter I spent cozied up with my lovely family. I anticipate more tweaking of ingredient proportions with this recipe, but I thought that I'd go ahead and share it anyway. 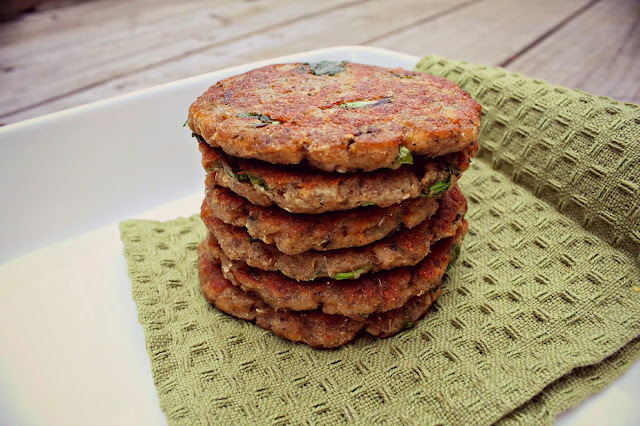 This recipe is AIP, Paleo, gluten free, GAPS/SCD, and 21DSD compliant. Have you ever prepared a dessert or meal for someone that included an ingredient you had an aversion to? It ain't easy. 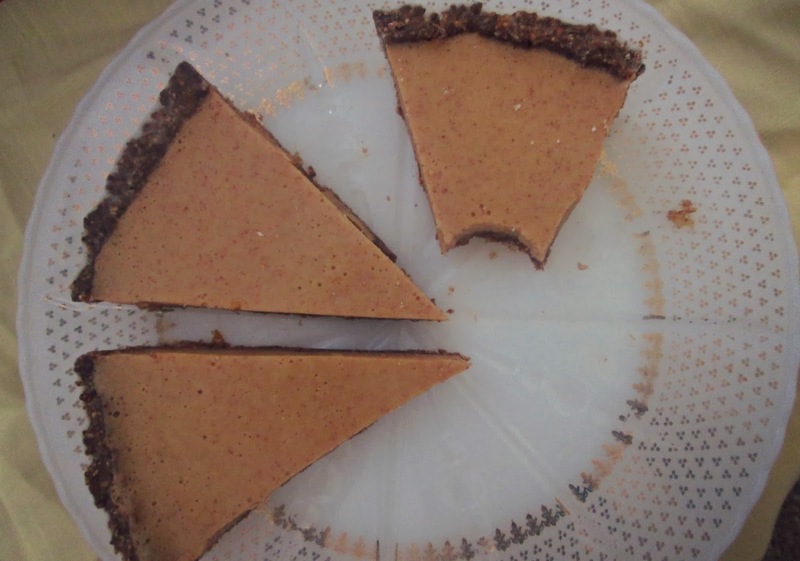 I made this tart for my family last week, and it was almost impossible for me to not taste it. Which was frustrating, because I didn't know if it was sweet enough, or the right texture. However, I'm happy to say that it got my husband and toddler's seal of approval (it only lasted 1 day in the refrigerator). I also gave my father-in-law a slice for his birthday, and he compared it to Olive Garden's Black Tie Mousse Cake! I was happy to be able to treat my friends and family to something delicious, and it really is a breeze to make! Sometimes the simplest things are the best. That is definitely the case for this darling little side dish. I got a julienne peeler last week, and this was the first thing I made with it. (Then I had this for lunch for the next 3 days after!) This peeler is definitely going to become a favorite kitchen utensil! It only takes a few minutes to whip this up, and only requires a few ingredients! It's light, crispy, tangy, and incredibly refreshing. What could be better? When I started working on this recipe last week, I suddenly realized that it had been about 8 years since I'd had meatloaf! Crazy, huh?! Traditional meatloaf has bread crumbs, eggs, and tomatoes- so I didn't think it was possible to make an Autoimmune protocol version. However, I'm delighted to say that this came out far better than I remember meat-loaf tasting back in the day. I was even able to sneak about 4 oz. of this pate into my loaf without it affecting the flavor much! This dessert has been my go to snack for the past few weeks, and I am totally hooked. It's low in carbohydrates, and is chock full of healthy fats. Can you say satiating? If I'm really craving something sweet, I just whip this up to prevent myself from cheating. It's literally so filling, I can't even imagine cheating after eating this. Not to mention that it's a pretty nutritionally dense little snack! And if you're able to add the gelatin, it's even healing to your gut! If I were wealthier, you know what I'd buy more of? Bacon. Pastured bacon. After being a vegetarian for a whopping 7.5 years, bacon is like.. sensory overload. I've only been eating it for the past 2-3 months, and just literally want to wrap and sprinkle everything with bacon. But, pastured bacon comes with a heavy price tag, and I only occasionally enjoy it as a treat. Last week I needed a quick snack to take a long with me, so I came up with this. 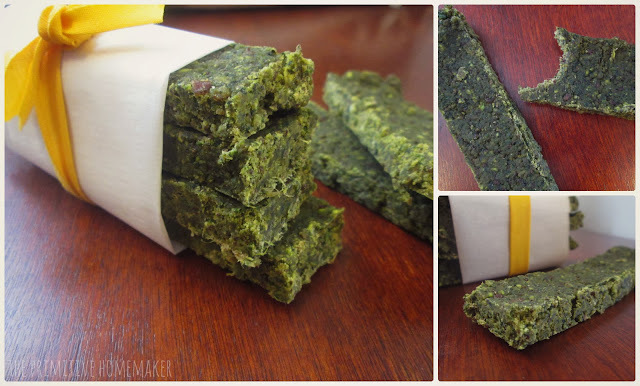 It's got protein, lots of healthy fat, and is pretty satiating little snack! Who am I kidding? I ate this for lunch. It requires minimal preparation, and comes together fairly quick. 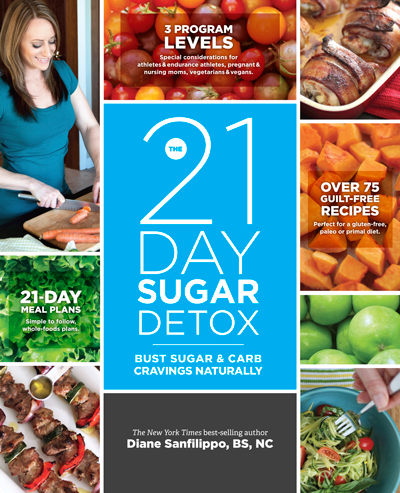 The 21 Day Sugar Detox Book Review & GIVEAWAY! I know that many of you reading this are probably already either following the Paleo, AIP, or GAPS diet. You might be thinking, "I've already restricted my diet so much!" I know exactly how you feel. For those of you following the Autoimmune protocol, you know this the best. "What else could I possibly need to change with my diet?" I actually fought the urge to buy this book for several months because I thought it would just be too difficult on top of my already incredibly restricted diet. However, when I finally gave in and got the book, I actually got quite excited to do this "detox". Diane has a way putting her ideas in a very practical, and easy-to-understand manner. I had a pretty intense sugar addiction before doing this program, and did not find it to be overwhelming at all- even with a very restricted diet. This book and detox program had a very profound impact on my ideas about sugar, carbohydrates, and blood-sugar regulation, and I am so excited to be able to give a copy away to one of you! I'll admit it, I am a total baby when it comes to sardines. In my effort to heal, and achieve optimal health, I have realized how incredibly important it is to eat fish regularly. Now, I can eat salmon fillets all day long and never get tired of it. But sardines, and any other "whole" canned fish- I.. just cant. Last week Diane Sanfillipo asked her Facebook readers what food they just couldn't eat, and nearly everyone answered sardines. She replied to this by saying "stop being big babies!" Right then, I decided I was going to stop being a baby. I mean, I like the taste of them, but have never been able to get over the appearance enough to actually incorporate them into my diet. However, I know that sardines are jam packed with healthy fats and nutrients, and it is truly worth trying to get used to. While my family and I eat a super strict and clean diet- we also pay very close attention to the products we put on our skin, hair, and teeth. One reason we choose to eat such a healthy diet, is to prevent disease- and that's the same reason we're picky about the lotions, soaps, shampoos, and toothpastes we put our body in contact with. One bottle of "conventional" lotion can have over 20 different synthetic chemicals in it! Some of which are "minute" quantities of a known carcinogen! It really baffles me, because it's just plain unnecessary. In my household, we have one bottle of very natural shampoo, and one of lotion. And guess what? None of us has dandruff, oily hair, oily skin, dry skin, or acne. For us, we don't need a million products to keep our bodies healthy looking. (Primarily because of what we're putting in ourselves, of course!) I also think that many lotions, acne scrubs, and shampoos simply exacerbate the problem! The truth is, every beauty and skin product you need, can be made at home with just a handful of ingredients. And further, it likely will work much better than any chemical laden product you could purchase. This is day 6 of my 21 Day Sugar Detox, and I am falling in love with savory. I mean, I liked savory food before, but my relationship with it has drastically changed since cutting out excess carbohydrates. Seriously, it has brought a whole new meaning to the term satiating. I just feel perfectly full at every meal, and totally satisfied until the next. So far, this experience has been incredibly inspiring! Ideas are just blooming, and exploding everywhere. In my sleep. In class. I love cooking right now. For me, an incredibly restricted diet has just taught me how many things you can make with just a handful of ingredients. Hey guys! You have to try this. It isn't overly sweet, and the crust is to die for. I contributed this recipe to Delicious Obsessions this month, so head on over there to see it. You can see the recipe here. I don't know about you all, but coconut plays a huge role in my diet. Coconut milk, coconut oil, coconut flour, shredded coconut, coconut aminos, coconut water- I use at least one of them every day. And now that I'm following the Autoimmune Paleo protocol, coconut provides one of the only flours and oils that I can have. In this recipe, I will be showing you how to make coconut milk using only two ingredients- shredded coconut and water. 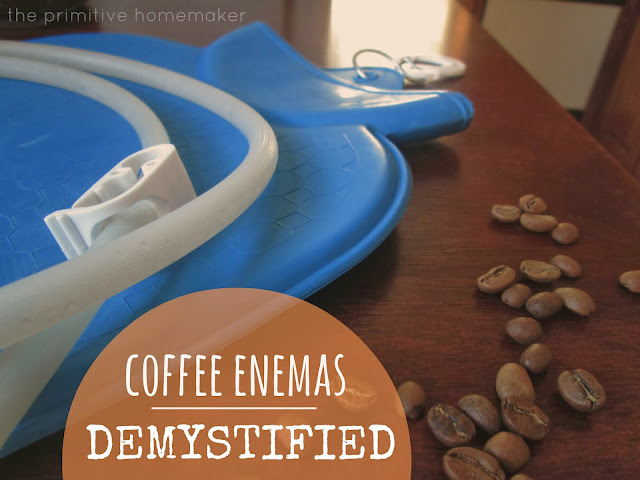 You can use this to add to your coffee or tea, to make ice-cream or yogurt, for salad dressings, vegetable dips, and whatever else you would normally use milk for. It's also delicious all by it's self, unsweetened. I will also be showing you how to make coconut flour with the pulp you have left from making coconut milk! Have you ever seen yucas in your local super market and thought "what the...?" I definitely have- and I consider myself an adventurous eater. So, after seeing a few recipes here and there, I decided to go for it. Man, what a treat. Now I'm kicking myself for not buying some earlier. I started the 21 Day Sugar Detox today, and now I can't have them! (I cup of yuca packs over 70 grams of carbohydrates!) It's definitely not something that should be enjoying regularly, but it can definitely be a nice treat every now and again. If you're not sure what a yuca looks like, follow this link. They're long round, brown roots. They're covered in a bark-like skin that is typically very waxy. Yucas bruise fairly easy, so the wax is added to help preserve them. When picking out yucas, check for soft spots. Their flavor is very starchy, and almost identical to that of a potato. Although the texture is slightly different, you almost can't tell the difference between it and a potato. This is great for those of us following the Autoimmune Paleo protocol who can't eat nightshades! After the boiling step, you can simply puree the yuca and make nightshade-free "mashed potatoes"! Preparing yuca is incredibly easy, so don't be intimidated. I live in Northern Arkansas, in the beautiful Ozark Mountains, and this morning I awoke to some very inclement weather. As my toddler and I eased out of bed and to the couch for some morning cuddles, ice began pouring down. I quickly realized that we were going to be stuck indoors for the day, and possibly for the next few days. I daydreamed about some new recipes in bed last night, so I was actually quite stoked to be stuck indoors all day. For me, that means I get to experiment in my kitchen with my free time instead of running errands or worrying about school work. I am just beyond excited about this. This was another one of my kitchen experiments that turned out better than I could have ever imagined. Isn't that just the best? I'll bet you thought this wasn't possible. I sure didn't. Before going Paleo, my husband and I loved going out for sushi. And right before I went Paleo, I had pretty much mastered the art of making sushi at home. So after going grain-free, I tried making it without rice and it was a total disaster. I thought that there just wasn't a replacement for the rice. Then a few days ago while I was grocery shopping the wonderful idea to use cauliflower popped into my head, so I instantly rushed home to try it. When I got home my husband asked what I was going to make for lunch- when I told him what I planning to try, he said "well, I guess I'll go put a steak on the grill." God knows he has eaten some terrible things that were products of unsuccessful kitchen experiments. After I was finished making them, I was happy that my husband was eating steak though- because I didn't have to share! This is quite possibly the easiest cookie recipe ever. It's also one of the best tasting! Sweet and simple- but not too sweet. This cookie is chewy, with just enough ginger to warm your soul. Mmm, I love ginger! It only takes a few minutes to prepare, and requires only a few dishes; a blender, a cookie cutter (optional), and a baking sheet. This is a big plus for me, because washing dishes is not my favorite chore. I am extremely particular about not making a huge mess in the kitchen when I am cooking. What about you guys? My husband DESTROYS the kitchen when he cooks- or prepares anything for that matter. I get scared when I see him entering the kitchen.. knowing that he'll use every spoon, fork, knife, and cutting board we have just to heat up some soup (I love you, Jason!). Anyhow, I love this recipe because after you put them in the oven to bake, you don't have to spend a great deal of time cleaning up. You know what I think? I think that pumpkin should be enjoyed every season of the year, and not just during the Fall. Sure, we should eat seasonally when possible, but how many of us actually abide by that year round? It's obviously something I'm conscious of, but hey, sometimes I just want a pineapple in the winter! 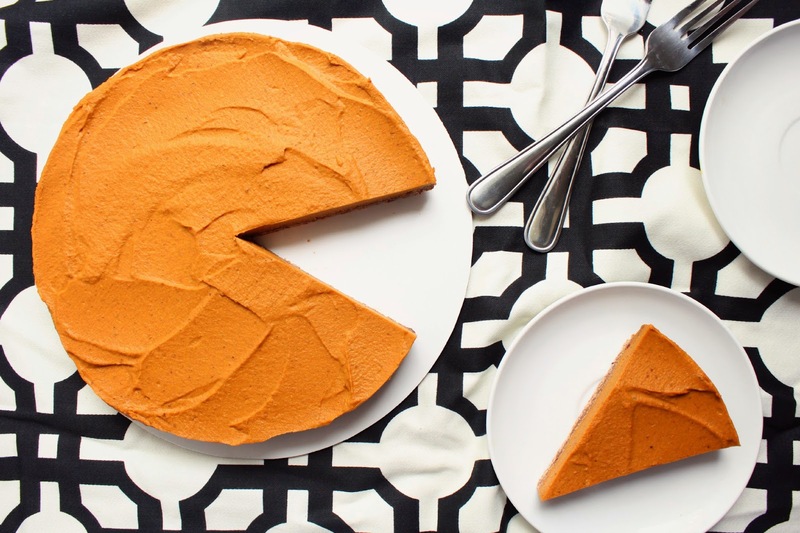 Pumpkin pie was always my favorite dessert around the holidays, and I think it's silly to only enjoy this warming dessert a few times a year. Especially since, this year, I didn't eat anything at Christmas or Thanksgiving dinner. I had just started the AIP protocol, and nothing my family prepared was allowed on that diet. So, last week when I made the Best-Ever Lemon Tart, the crust turned out so good that I had to experiment with some different fillings. Pumpkin was the first thing that came to mind. 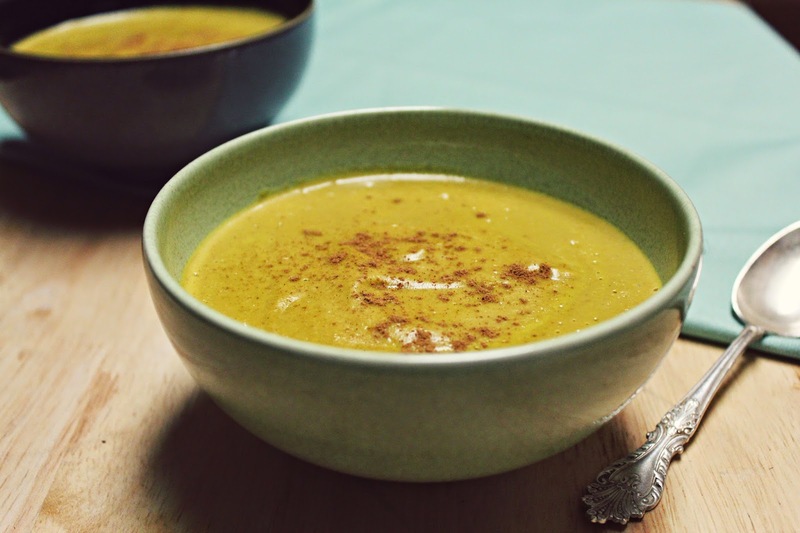 Pumpkin and cinnamon are both just incredibly warming and comforting flavors. It's snowing here in Arkansas, and I needed that. I have many more ideas for Autoimmune Paleo legal fillings floating around, and I can't wait to share them with you guys! This pie is also GAPS and SCD legal! Need to spruce up your dinner plate? Getting bored with bland side dishes? Need a healthy snack that both you and your kids will love? Dig this. Garlic and dill carrot fries. 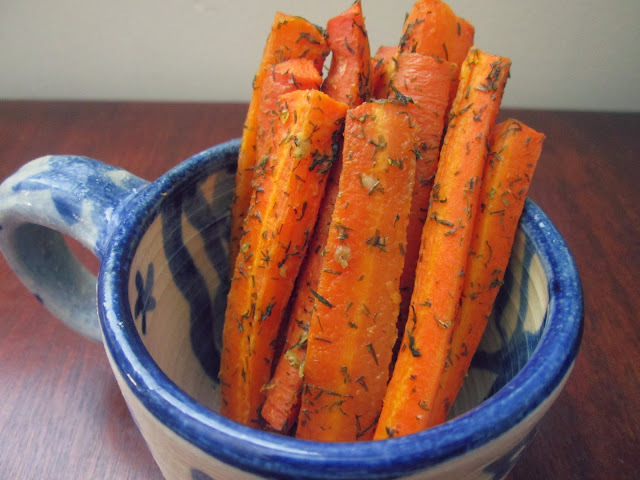 I have been eating lots of carrot fries as a side, and I cannot believe how satiating they are. I tried this flavor combo this morning and fell in love. 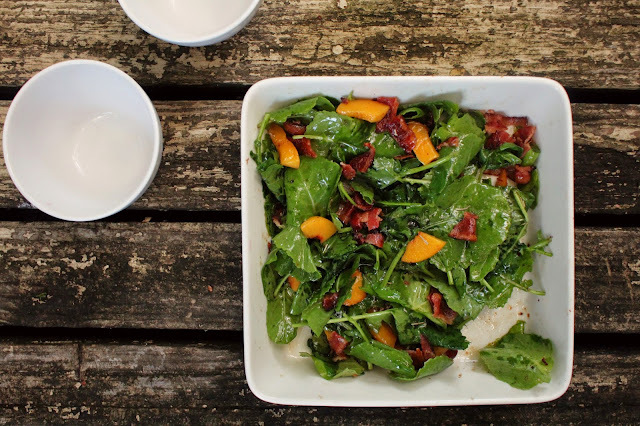 This little side dish only takes a few minutes to prepare! I really like these seasons, but you can flavor them however you like! This recipe will serve 3. I try not to snack. I really, really do. And when I say snack, I mean to eat when I'm not hungry. Or to eat shortly after a meal, when my body doesn't need any more energy. This is not to be confused with eating a small portion when you're actually hungry between meals. It's something that I struggle with fairly often, and I suspect that many of you do as well. Food is comforting, we all know that. But I think it's important that we find healthier ways to comfort out emotions- like yoga, or any other physical activity. When I get in a snacky mood, I can just go crazy on some fruit. Like, three-granny-smith-apples-in-a-row crazy... yeah. So, one of my recent goals is to just have ONE piece of fruit a day, and for that fruit to be a fairly low-sugar fruit. I'm doing this to create a new normal for myself, so in a few months from now I might be less likely to binge eat high-sugar fruits. So, why am I sharing all of this with you? Because this vegetable dip has really helped me from snacking too much. 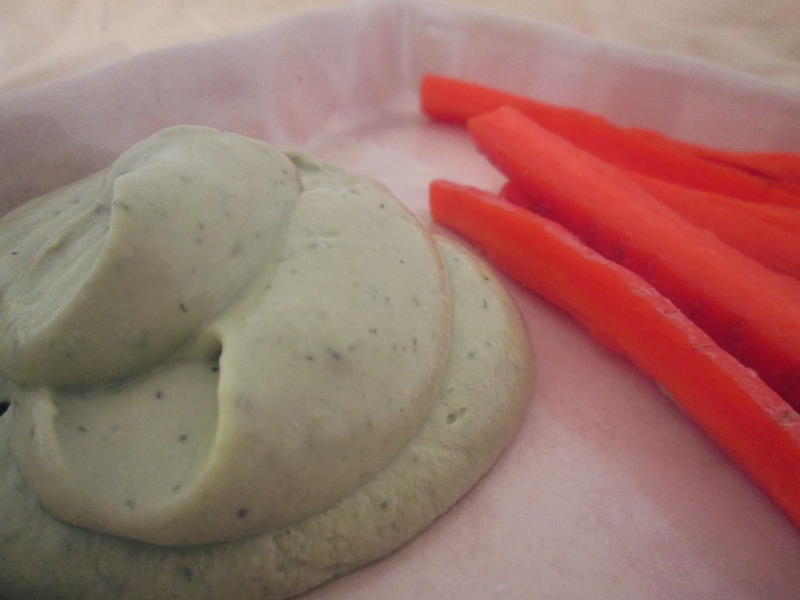 The combination of carrots and this dip is sweet, satiating, and super filling. So when I'm feelin' snacky, I just eat some of this and it really puts my cravings in check. It's incredibly fast and easy to make! 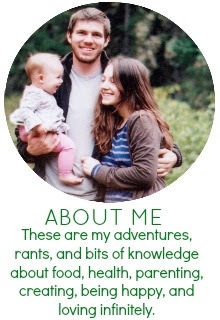 It's Autoimmune Paleo, SCD, and GAPS friendly. Makes about 10 servings. Okay, I don't mean to sound boastful.. but I am really proud of this. I jotted down an ingredient list for this about a month ago, and had been daydreaming about making it ever since. So when it worked out on my first attempt, I was just beyond delighted. If you experiment with your own original recipes, you know what I mean! 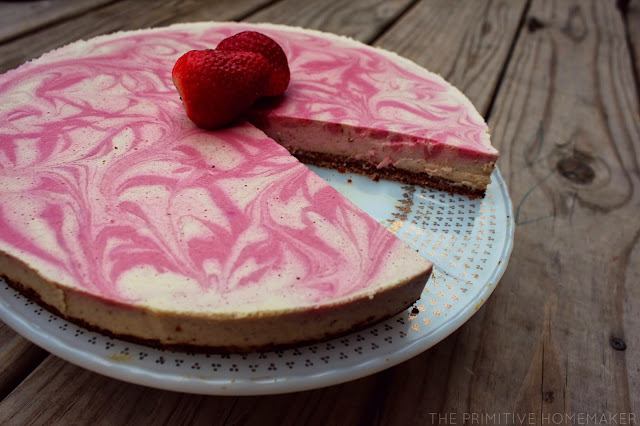 I was especially happy because this was my first Autoimmune Paleo dessert recipe. If you aren't familiar with the Autoimmune version of the Paleo protocol- it's very restrictive. No eggs, nuts, dairy, grains, legumes, nightshades, or sweeteners. If you're struggling with an Autoimmune disorder, I highly recommend this book. Sarah Ballantyne, from ThePaleoMom.com, provides some well-researched information about the cause and treatment of Autoimmune disorders. I've only been following the protocol strictly for about 1 month. At first, I thought that there would be no way to make anything with the amount of ingredients I could have. Then I realized that following this protocol was going to be fun, because it would challenge my creativity. It would force me to make things with very minimal ingredients. It has also opened my eyes to how we can make almost anything with the same ingredients our ancestors ate. And even if you aren't following the Autoimmune Protocol, these are the healthiest version of desserts possible. Of course, they should only be eaten on occasion! Personally, I don't think we should indulge in these types of desserts more than 1-2 times a week. Yep, another banana recipe. I'm not sure why, but the last 3 recipes that I've posted have used bananas as a main ingredient. I totally forgot about this little gem of a recipe, until my daughter asked for "pan-pakes" last week. I don't know how I could have forgotten about it. 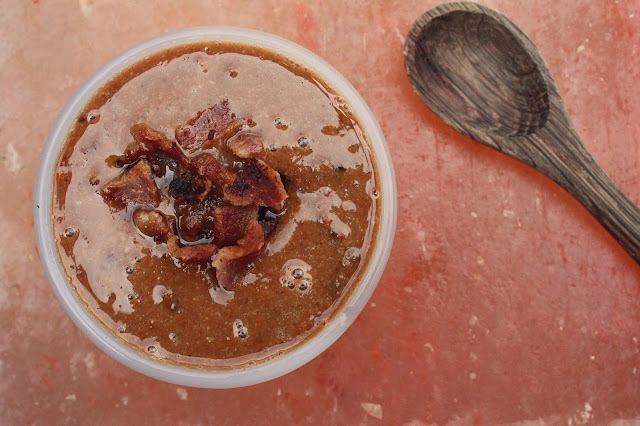 It is awesome for mornings when you're short on time or ingredients. Flavor wise- it does not disappoint. Think banana bread. The following recipe will serve 2, so you may want to double the ingredients. Melty, creamy, rich, sweet deliciousness. There is just nothing like ice-cream! For me, it is one the ultimate comfort foods. During the Summer months, I was deeply saddened by all of the ice-cream recipes on Pinterest (monster cravings would be an understatement). Even the more simple recipes have gobs of honey, and are fairly expensive to make. So, when I stumbled upon this gem- I was ecstatic. Don't be deterred by your assumptions! When I first saw this recipe, I thought "there's no way." 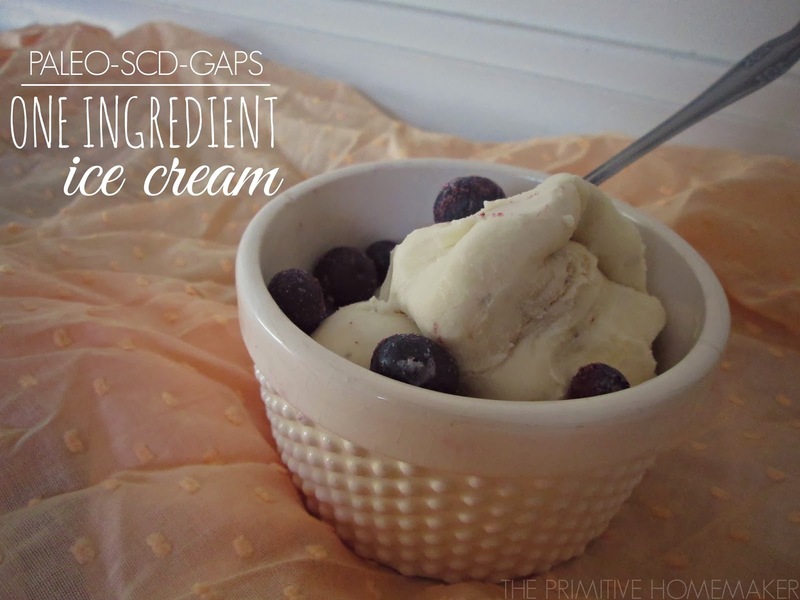 But let me tell you, just this one ingredient makes the creamiest, lightest, smoothest ice-cream ever. Ever noticed that you gravitate towards crunchy foods when you're stressed? Well, you might like to know that it's totally normal. Consuming crunchy foods actually helps us to relieve tension and stress. Personally, anything with some fat and crunch are my go to comfort foods. No, I do not condone emotional eating or eating foods for comfort, but sometimes these foods can be so incredibly grounding! I started a new semester of college last week, and I have been a bit overwhelmed with changes in my life- So, I really needed these. I want to note that this recipe is not an original creation; I had been seeing this recipe all over Pinterest, and just had to try it. So, since I have seen this recipe on so many sites, there is no one person to give the credit to. I would also like to remind you that frying your food is obviously not the healthiest way to cook it- so I don't recommend eating these very often. I would consider these fries a nutritionally neutral food; in moderation, they're neither good or bad for you. However, if you aren't using coconut oil, lard, tallow, etc.- they can be extremely unhealthy. It is very important to know the smoke point of the oil you are cooking with! Check out this chart for more information. 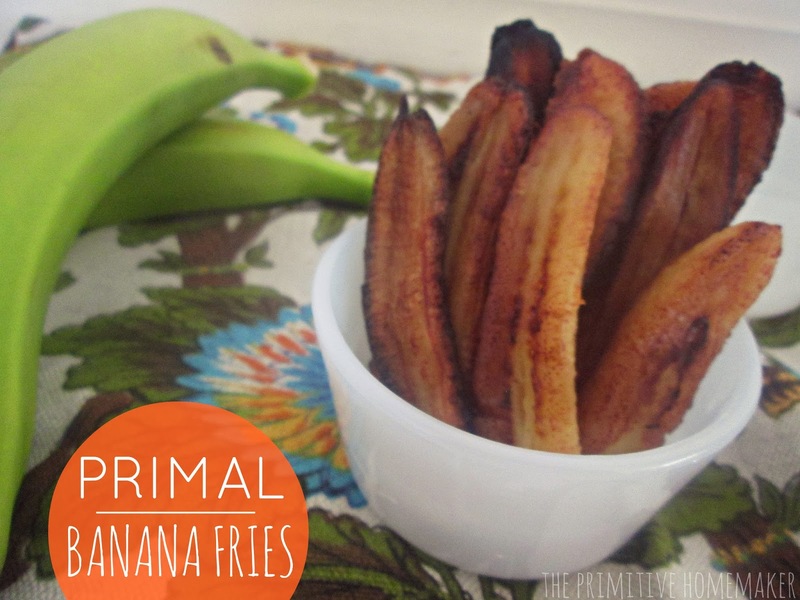 These fries are AI Paleo, GAPS, and SCD friendly. However, if you follow the SCD, use very ripe bananas. This recipe will serve two. How many of you struggle to find a savory on-the-go snack that is actually healthy? I definitely do. I don't know how many times I've needed a snack to hold me over, and walked up and down the isles of my local health food store trying to find something savory. All of the quick snacks that are appropriate for my restricted diet are sweet- Larabars, dried fruit, etc. I often result to getting a package of sliced Applegate roast beef, and eating the whole thing. Seriously. When we're hungry, eating sweet stuff only makes us hungrier. And for me, it's nauseating. So, when our lovely health food store, Nature's Wonders, finally got Epic Bars- I was ecstatic. 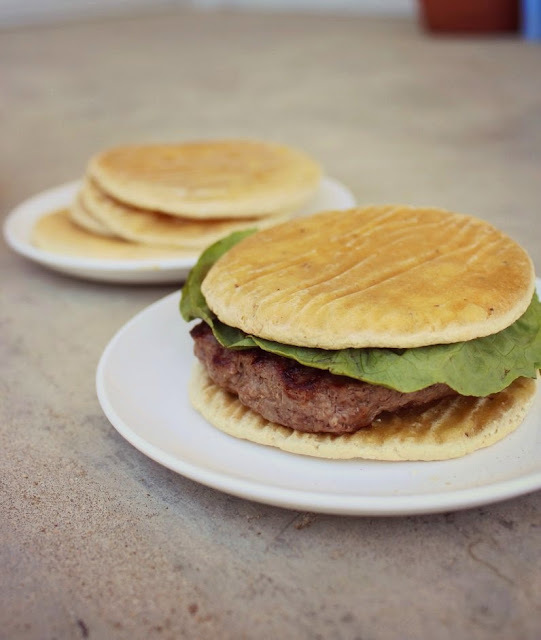 They contain grass-fed meat (lamb, turkey, pork, beef, or bison), dried fruits, nuts, and spices. As far as ingredients go- it doesn't get any cleaner than that! So, when I realized that I needed to up my game and try the Autoimmune Paleo protocol- I was devastated. Nuts are not legal on this protocol, so Epic Bars are no longer an option for me. However, they have such a short ingredient list, that I knew I could recreate them! With that being said- if you can eat nuts, you should definitely try an Epic Bar. They're heavenly. For those of you who didn't already think I was strange- you probably will now. Maybe even gross.. or crazy. Whatevs. I'm honestly surprised that you even made it to this sentence! Congratulations on being an open-minded creature. I'm sure some people saw the above picture, gagged, and then continued browsing. If you're still with me, I encourage you to keep reading. Coffee enemas are not a new fad- they've been around since the 50's, and enemas themselves since the 15th century! Not only is it a tried and true method of detoxification, it's totally safe and easy. 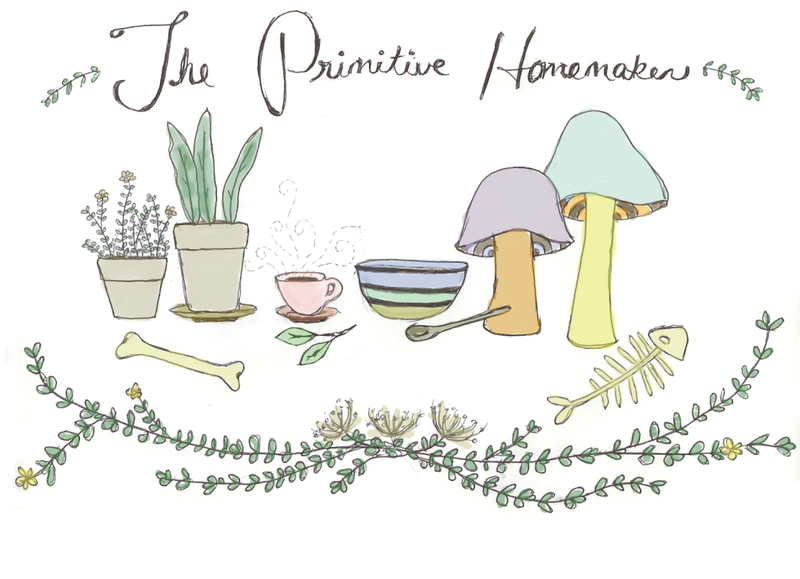 All recipes are original creations by Tyler Peacock (The Primitive Homemaker), unless otherwise noted. If you wish to use a recipe on your own recipe or blog, please provide your readers with the link to my original recipe.